A number of forex brokers have gone public in the recent years. 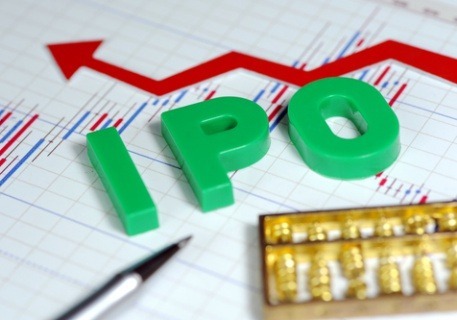 Though brokers use IPO opportunity to raise additional capital for expansion, the IPO is also a way of increasing transparency in a firm’s dealings and that works in the favor of traders. This is because public listing attracts increased regulatory scrutiny to ensure that the operations are legit and investors and clients are protected. CMC Markets plc (LON:CMCX) went public early this year, listing on the London Stock Exchange. The broker priced each share at 240 pence in the IPO that valued it at £691 million ($1.01 billion). The IPO was for 31% stake in the firm or 90.6 million shares. The transaction raised £218 million, with primary capital raise being £15 million. The rest at £203 million went to early investors in CMC Markets who used the IPO opportunity to sell some of their shares in the company. CMC Markets’ CEO, Peter Cruddas, owned 62.5% of the company after the IPO. The IPO price of 240 pence a share was at the lower end of the original price range of 235 to 275 pence a share. Online FX broker XTB (X-Trade Brokers) didn’t want to miss an opportunity to go public this year at a time when forex brokers have been benefiting from market volatilities. The broker listed on Warsaw Stock Exchange (WSE), selling about 16.5 million shares in the IPO that valued it at $340 million. Although XTB’s IPO valuation came at the lower end of the range set out in prospectus, the stock of the forex broker closed the first day of public trading on a positive note. Israel-based operator of forex trading platform Plus500 listed on the small-cap segment of the London Stock Exchange in 2013. The firm raised $75 million through the IPO after expanding the IPO plan from $50 million that was originally targeted. Strong demand for shares of Plus500 by institutional investors led to the expansion of the IPO plan, the company’s CEO Gal Haber said at the time. Haber also said that the strong investor support offered a clue to a bright future for the broker. Plus500 priced its IPO at 1.15 pounds a share, thus giving it a market valuation of $200 million. Forex broker FXCM went public in 2010, listing on the New York Stock Exchange market. The firm sold a little more than 15 million shares in the IPO, pricing each share at $14. The IPO price came in the middle of the offering range of $13 to $15. FXCM raised $211 million through the IPO. London Capital Group Holdings (LON:LCG) went public in 2008, listing on the London Stock Exchange. The forex broker raised £15 million through the IPO after pricing each share at 82 pence. The IPO valued the company £31.4 million. LCG this year announced a consolidation of its brand and expansion into the retail trading sector. But the move sparked a selloff in the stock, pushing shares down to a new all-time low in mid-2016. Regulatory clampdown on retail forex and binary options brokers has heightened in the recent years, which could explain the investor concern over LCG’s move into the market.